Diana Vreeland: The Eye Has to Travel (a subtitle any good curator is bound to appreciate) is the only 2012 film here. I include the others because, taken together with Vreeland, they make a perfect quartet. Certainly without knowing it at the time, I came of age under the aesthetic influence of Vreeland, Yves St. Laurent, and Vidal Sassoon. They have all had an indelible impact on how we dress, how we wear our hair, and consequently, how we live our day to day lives. Meanwhile, Bill Cunningham has been documenting fashion as it is translated day in, day out by real people outside the ateliers. The word "doyenne" might have been invented for Diana Vreeland, who reigned over Harper's Bazaar for two and a half decades and then Vogue for almost a decade more. Lisa Immordino Vreeland's Diana Vreeland: The Eye Has to Travel chronicles a woman born in Paris, of a British father and American mother, into a world of art and culture, a girl who consorted with the likes of Diaghilev and the Ballet Russes. The early years of her marriage, to Reed Vreeland, were spent in England, where she was presented at court to King George V and Queen Mary. The couple returned to New York during the Depression. With finances short, Vreeland realized that in order to live the life she wished to invent for herself, she needed money, so in 1936 when Carmel Snow, editor at Harper's Bazaar, asked her to write a column for the magazine (Vreeland would call her trifles "Why Don't You? "), she embarked on a half-century-long career as the self-made "high priestess of fashion." Like Yves St. Laurent, she was an admirer of Coco Chanel, and like Laurent, she sensed the need for fashion to be reinvented to fit the needs of women in the age of modernity -- streamlined, yet chic; practical, yet extraordinary. Always at the forefront, not just of fashion but of pop culture (she hobnobbed with Jagger, the Beatles, Warhol, Catherine Deneuve, Jacqueline Kennedy Onassis, Oscar de la Renta, et al. ), she took the potential flaw (Streisand's nose, Jagger's lips, Twiggy's anorexic look) and made it the centerpiece of a person's style. She made models' careers -- Veruschka, Penelope Tree, Lauren Hutton. When she departed Vogue, friends arranged a post at the Metropolitan Museum of Art's Costume Institute, then a dusty little afterthought. 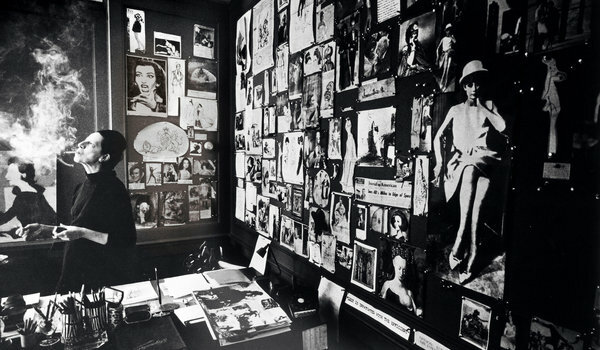 Despite the Met's initial consternation, Vreeland transformed the department into a showcase, a vibrant, living tribute to the history of fashion, bringing to it the curatorial brilliance she had brought to the fashion magazine -- for what is a successful fashion editor if not a curator of the body on the page? 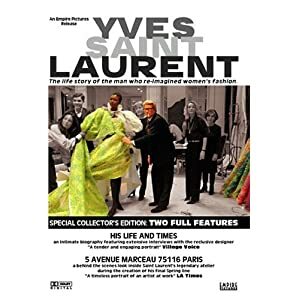 Over the holidays I rented David Teboul's 2002 double documentaries YSL: His Life and Times and Yves St. Laurent: 5 Avenue Marceau 75116 Paris. YSL covers Laurent's childhood (at age three he told his great aunt that she needed to change her dress, and she complied!) and early career. A fashion contest got him a position with Christian Dior, and by 26, he had opened his own house of couture. An ardent admirer of Coco Chanel, Laurent appreciated the simplification Chanel had brought to women's clothing while retaining, though pared down, elegance. The film chronicles a vanishing world of which Laurent may have been the last great couturier, and also makes clear that Laurent understood that the working woman deserved accessibility to chic fashion and was the first to champion ready-to-wear lines. YSL is slow-paced, but 5 Avenue Marceau moves at a crawl...and that's OK. It is a behind-the-scenes look at the 8-week-long creation of a single season's collection, specifically the spring/summer collection for 2001. From conception to sketch to toile (the term for the plain, white linen fabric and for the test garment made from it) to final preparation, which itself is a laborious process of fabric selection, adjustments, meticulous collar and flounce creation, nipping and tucking, sometimes on a dress form, but most often on the living person of the model. There is no hustle and bustle, just a hush of concentration and a palpable mutual respect amongst everyone involved in the process. The designer's admiration and gratitude toward the men and women dedicated to the art of drape and handwork, and their admiration and gratitude toward him, are infectious. I was in Houston last spring and though my cheap hotel had no ice machine, much to my chagrin, it did have HBO. Playing was Craig Teper's 2010 Vidal Sassoon: The Movie. I know several women who wear Vidal Sassoon haircuts. One is an artist who patronized Sassoon's salon in the 1970s. The others probably have never heard of Sassoon except as the name of a product line, nor do they know that he was the first to utilize the success of his name to create a product line brand. 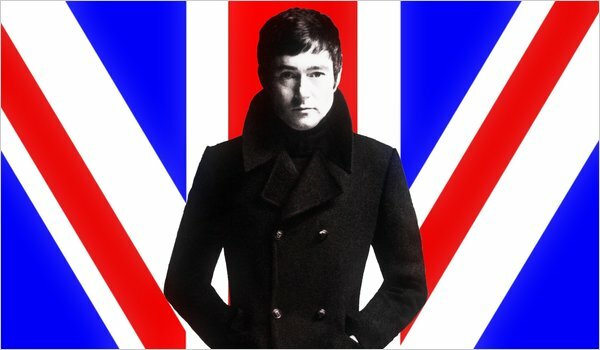 Vidal Sassoon probably understood hair better than anyone who ever lived. While my mother was still going to a "beauty parlor" to have her hair rolled onto curlers, teased and sprayed into a helmet, Sassoon was making hair bounce and swing for the swingin' '60s. He made it look effortless, when in fact it was exactingly difficult (to which I, as one who has been given dozens of botched efforts at Sassoon-esque haircuts, can attest). It took years for Sassoon to perfect the five-point haircut that would forever transform the way women wear their hair. For those who don't know, in her New York Times review Carina Chocano explains that Bill Cunningham is "the legendary street-fashion photographer and society chronicler for The New York Times." Richard Press's 2010 Bill Cunningham New York was previewed at my theater in 2011, and then never came, so I rented it over the holidays. For decades Cunningham's eye has synthesized what fashion means. From the abstraction of couture runways, to the society events where the wealthy who can can afford to don such creations go to see and be seen, to the person on the street from the flaneur to the Wall Street MBA to the housewife to the butcher, the baker, the candlestick maker -- Cunningham is not simply interested in fashion, he is interested in how it is translated into real clothes on real people and morphed into individual style. Fashion is our most immediate manifestation of the aesthetic, and by extension, serves a valuable function. "In Paris, every six months," says Cunningham, "fashion educates the eye. Why would the world [perceive] fashion as ... a frivolity that should be done away with in the face of social upheavals and problems that are enormous. The point is that fashion is the armor to survive the reality of everyday life. I don't think you could do away with it. It would be like doing away with civilization." Whether cycling around traffic or crouching amongst street bustle in his signature Paris street sweeper jacket, Cunningham, with his encyclopedic knowledge of fashion history, is the omnipresent arbiter of where fashion stands on any given day. He would self-effacingly reject the idea. "I don't decide anything. I let the street speak to me, and in order for the street to speak to you, you've got to go out there and see what it is."